“I started in the summer of 2017, working through a lot of issues with core instability and hyper-mobility in all my joints. My body was all over the place. Sometimes I would be in alignment and sometimes I wouldn’t be. My main areas were the neck and shoulders, but those were just symptoms of the underlying instability in my whole body. My physical therapist, Julie Dewdney at Foothills Physical Therapy, recommended Concord Pilates and was confident you could help me. 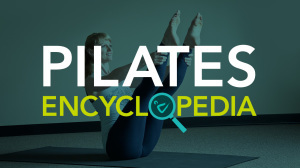 I thought I knew what Pilates was about because I had taken a few mat classes many years ago in a big group. But working one-on-one with a teacher has completely changed my idea of what Pilates is. I see that it’s so much more than just a generic core strengthening workout. It’s tailored to what my individual body needs. I know I’m getting corrections exactly when I need them, and slight modifications only where my body requires them. Pilates is very subtle that way. After practicing Pilates regularly twice a week for a year, I sense I have more stability all over. I feel more intact. Prior to Pilates, I was less aware of what my body was doing. Now I’m much more purposeful in the way I use my body. I feel my abdominals and my glutes working a lot more, even in daily life. Having a program that’s tailored to my body has made all the difference. Additionally, having the opportunity to practice independently has helped keep it cost-effective. I feel I get a lot more out of Pilates, through the one-on-one attention. Lately, if I take a group yoga class, I have been taking a lot more license to modify poses as I need to. I have no hesitation anymore to position my arms differently from everyone else or rotate my head differently to suit how my neck is feeling. When I’m teaching yoga, I’m always reminding my students that they don’t have to do what I suggest, and I encourage them to individualize their practice and honor how they are feeling that day."